A faculty-written National Science Foundation grant to enhance developmental math learning ended up netting a gift to Fisk University that hasn’t stopped giving: Dr. Qingxia Li, a tenured associate professor. Since arriving at Fisk in 2014 following his first assistant professorship at Lincoln University, Li has compiled impressive credentials as a prolific and effective grant-writer, researcher, presenter, author, scholar, teacher and cross-disciplinary collaborator. He’s also an education innovator, instituting a math club, developing an eight-semester timeline for Fiskites to prepare for graduate school as they matriculate, and integrating a creative new evidence-based pedagogy for teaching math that he developed in partnership with Xin Jiaotang Liverpool University in China. Over the last four years, Li has helped more than 40 students apply to various research programs, with more than 20 winning acceptance, notes Martin. Li became fascinated with math as a child in Qingdao, a city in the Shandong province of China. He quickly discovered that he was good at it, winning competitions and awards that fueled his interest in finding various techniques to answer a mathematical question. Li’s educational path includes a bachelor’s degree in math and system sciences from Shandong University in 2002 followed by a stint as a research visitor at Shanghai University in the math department. 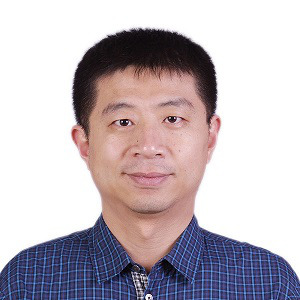 He received a master’s degree in math from the University of Wyoming in 2005 and was a research visitor in the math departments at Tsinghua University in Beijing, the University of Michigan and the University of Oxford before earning a Ph.D. in applied math at Louisiana State University in 2010. Li, 38, acknowledges that math can seem boring or intimidating to many students, presenting instructional challenges. His pedagogical approach is to cultivate a fun and interactive classroom experience that includes team learning and peer mentoring to help students understand how math can aid decision-making processes in various aspects of life. Li’s many presentations and research efforts unfailingly link to bolstering student success in math. As a sub-grant recipient of the Minority Science and Engineering Improvement Program, for example, his work aimed to increase students’ critical thinking skills. He’s also collaborating with a Fisk colleague on an NSF-funded project that deals with integrating math and biology in a reciprocal course content exchange. Spending his faculty career at HBCUs thus far has been intentional and a source of fulfillment, says Li. This article appeared in the January 24, 2018 edition of Diverse. This is one in a series of profiles about this year’s 2019 Emerging Scholars. Read about all of them here.